Introducing 6different films set in Tokyo. How about watching these movies and then visiting the locations they were set in? 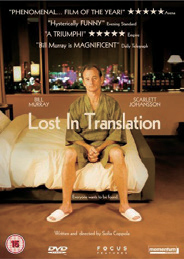 A Hollywood veteran actor named Bob (played by Bill Murray) comes to Japan to shoot a whisky commercial and meets Charlotte (played by Scarlett Johansson), a young wife who is there accompanying her husband, a celebrity photographer, on a work trip. 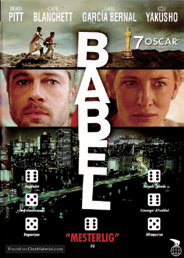 After their first encounter at a hotel bar, the movie follows their respective reasons for loneliness as they gradually develop feelings for one another while facing the realities of being in a foreign land. Director Sophia Coppola is able to portray the hustle and bustle of Shinjuku through beautiful imagery. 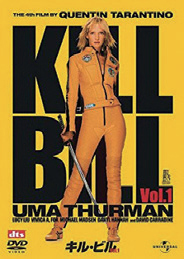 Just as the title reads, the protagonist is a former professional assassin (played by Uma Thurman), who falls into an abyss of despair after waking from a coma and realising she has lost her unborn child. She seeks revenge by trying to kill the ringleader, Bill, who masterminded the whole sitatuation and all of his subordinates in this violent action movie. Gonpachi yakitori restaurant in Nishi-Azabu was used as the main reference point when creating the setting for the large scale action scenes which take place in the second half of the film. However, because they could not shoot in the actual restaurant, a movie set based on director Tarantino’s photos of the venue was assembled instead. the United States and Japan. In the movie, places such as night clubs, which act as the heart of Tokyo youth culture, are depicted with a magical touch. Hugh Jackman takes on the role of popular character Wolverine, the hero in this second instalment of the science fiction action spinoff from the X-MEN comic series. 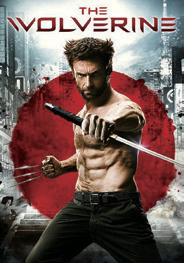 Set again in a foreign land, Wolverine visits Japan and has a fateful encounter with a person that then leads to a series of fierce battles. While the filming actually took place on location in Japan, various scenes unique to Tokyo such as a pachinko parlour in Akihabara and the tourist attraction of Zojo-ji Temple, were cut from the final release. Popular actor, Rengo Shiraki, commits suicide leaving behind 6 wills. The first person to discover him is a good friend from his childhood – Daiki Kawada. 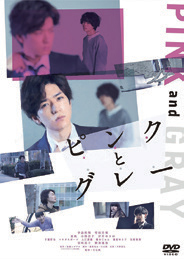 Guided by Rengo’s pre-prepared wills, Daiki suddenly announces that he will be the author of a biography on Rengo’s short life, however, he gradually loses sight of himself as he deals with his sense of loss and the lies surrounding Rengo’s fame. What truth lies behind Rengo’s death? The movies focuses your attention on the deception which changes his world from pink to gray. 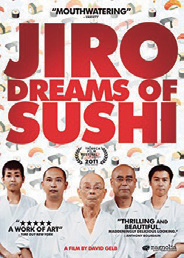 being over 80 years old, his continued service to preparing sushi has garnered him high praise on the international stage with his restaurant receiving 3 Michelin stars for 5 consecutive years. American film director, David Gerb, was mesmerised by his style and spent 3 months closely covering his approach as a sushi artisan, as well as the teacher/student relationship he maintained with his son.